At the age of seven, Loren Schmidtberger was assigned to a beginner's cow—the gentlest cow in the herd and the easiest for a child just beginning to milk. 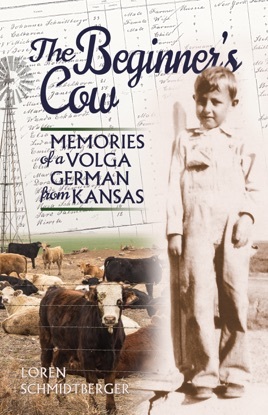 As he learned to milk with the help of the cow, he also learned the art of living from the unforgiving reality of the Dust Bowl years tempered by the steadfast resilience of his Volga German community. After he left the family's isolated Kansas farm and throughout his teaching career, Schmidtberger's life was filled with ever-present memories of family and community. Now he offers us those memories in stories told with wry humor and gentle grace. These tales span the decades with a clear-eyed gaze, reflecting a cultural legacy that laid the foundation for a life well-lived, and illustrating the deep cultural changes between America in the 1930s and the America we know today.